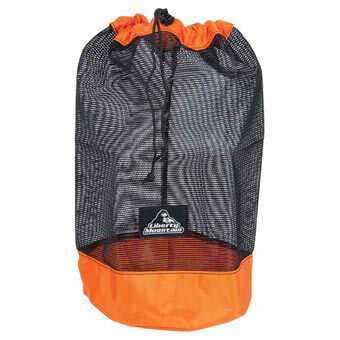 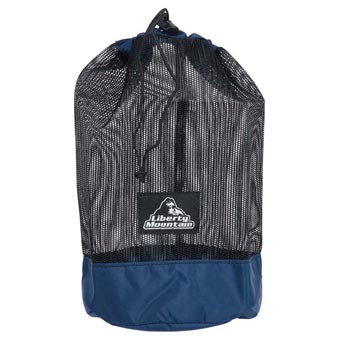 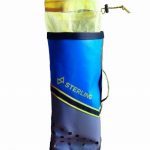 This unique and versatile stuff sack has all of the advantages of a mesh bag with the durability of a nylon bag. 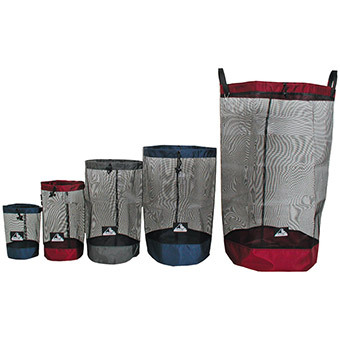 Great for organizing gear or storing anything that needs air circulation. 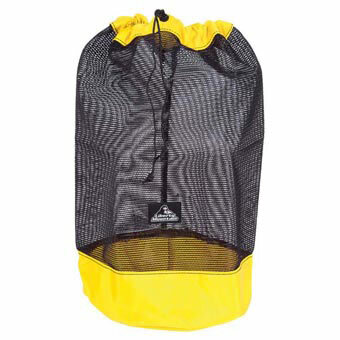 Also, works as a cheap rope bag and will fit 200′ of 9mm rope. 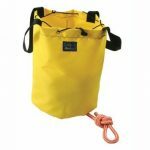 Works best if you add your own grommet to the bottom to secure rope.